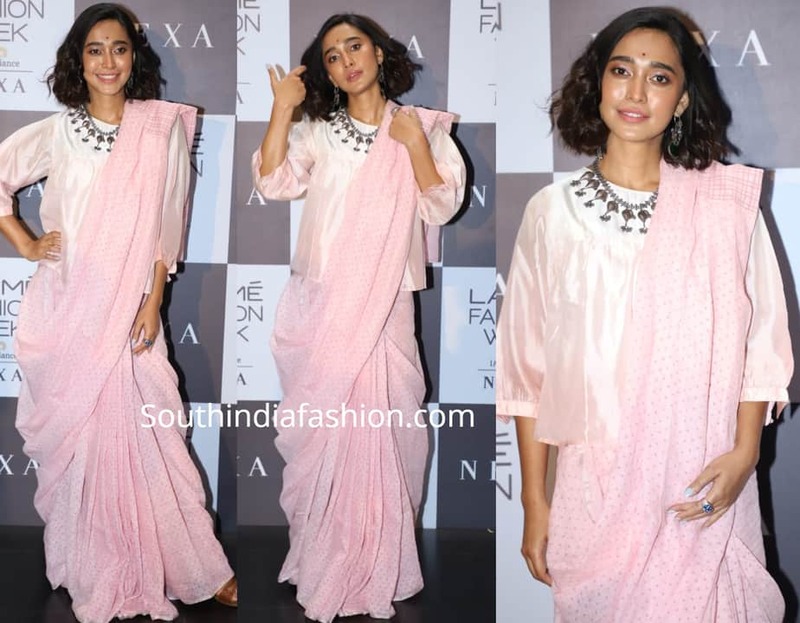 Sayani Gupta attended Anavila’s show at the Lakme Fashion week wearing a pink saree with matching top by the label. Silver jewellery and curly bob rounded out her look! Shop Anavila sarees online HERE!